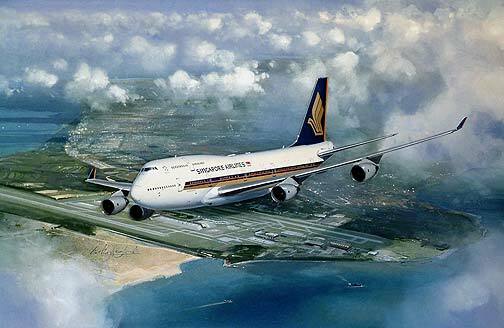 A Great Way To Fly Features a Singapore Airlines Boeing 747-400 above its home base of Changi Airport in Singapore. Full of the exquisite detail that you would expect from this award winning artist it would be a pleasure to have this limited edition fine art print on your wall. With an image size of 40cm by 29cm this limited edition of 250 is printed to the highest standard on 250 acid free archive paper.